Catch everyone's attention in your Black & Silver Spiderweb Poncho. 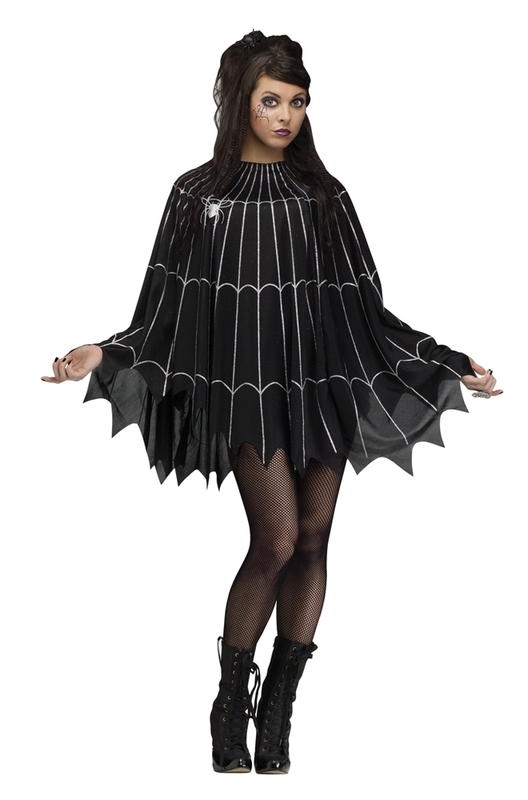 The gothic costume accessory includes a scallop edge poncho with silver glitter spiderweb pattern and glitter spider. This dark and beautifully detailed poncho makes for a quick and easy Halloween costume and accessory. Hand Wash Separately in Cold Water, Only Non-Chlorine Bleach When Needed, Line Dry, Cool Iron if Necessary, Keep Away From Flames.